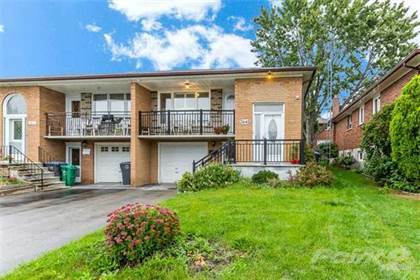 Goregeous Semi-Detached Raised Bungalow In Great Location. Renovated Eat-In Kitchen W/Granite Counter Tops, Undermount Sink, Backsplash & Breakfast Area. Bright & Spacious Liv/Din Rms, California Shutters & Hardwood Thru-Out! Master Suite Features A Renovated Semi-Ensuite. Fenced Backyard, Large Front Balcony. Professionally Fin 1Br W/O Bsmt Apartment W/Full Kitchen, 5Pc Washrm & Gas Fireplace, New Furnace(2017), Extras:: (2) Fridge, 2(Stoves), Dishwasher, Microwave, Washer, Dryer, Garage Door Opener, New Security System(Owned), Close To Schools, Parks, Transit, Sq1, Shopping, Hwy Qew/403/410/401, Airport.\rBrkage Remks:Please Attach Schedule "B" & Form 801 With All Offers. Buyer / Buyer's Agent, To Verify Measurements And Taxes Independently Verified. Deposit Must Be A Bank Draft Or Certified Cheque. Thanks For Showing! Hi, I'd like to find out more information about 3643 Molly Ave. Thanks so much!